We are operating since 1999 in the market of vegetables. We started first on the Dutch market and then we expanded to Belgium. Every day we deliver throughout the UK, Germany and Austria with our transportation. With sufficient order, we can also deliver other destinations. This tomato is an elegant vine tomato with a beautiful deep red colour. A delicious treat. FLANDRIA PRINCE is a loose tomato with a shiny, deep red color, a perfect flavor and the perfect mold. Thanks to its strong pulp, this tomato is to everyone’s taste. This tomato is harvested red. FLANDRIA PEPPERS have a uniform colour, are firm and fresh, and have a shiny surface. FLANDRIA CUCUMBERS have a dark green colour, are straight, and have a regular shape. The FLANDRIA AUBERGINE is purple in colour and the fruit is shiny. The fruit is well developed, is firm, has a regular shape, and is free from burns caused by sunlight. FLANDRIA CABBAGE LETTUCE is young and fresh, and has no wilted (outer) leaves. The head is undamaged and the underside of the head must be tightly closed. Even smaller than ordinary cherry tomatoes, mini tomatoes that are distinguished by their extremely small size. The FLANDRIA MINI is a cocktail tomato, also known as cherry tomatoes or cherry tomatoes. These tomatoes have an exceptional flavor and an extremely sweet aftertaste. Coeur de Boeuf is distinguished from other tomatoes by the very different shape of the fruit. Marzanino a tomato is clearly distinguished by its unique shape, a tomato with a ‘neck’. Pickles can be used in salads, but can also often serve dishes with the spicy taste. 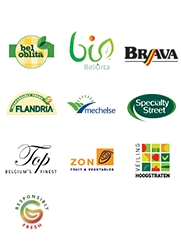 We are operating since 1999 in the market of vegetables. We started first on the Dutch market and then we expanded to Belgium. We are specialized in the supply of tomatoes of the ‘Elite’ brand. We own a warehouse at the Auction of Mechlin in Belgium. It all started in Bleiswijk, The Netherlands, where we bought our products from growers and transports it to the market in Germany. In past we served the province North Rhine Westphalia and now we growed so much to manage Germany completely. We operate with different customers. Our customers know our Elite tomatoes very well and therefore we have redefined our company name with the same brand. Elite tomatoes, the name says it all, are the best Belgian tomatoes. Our products have always beautiful color and flavor, good size and are long lasting. With these qualities we have already convinced our customers since years. 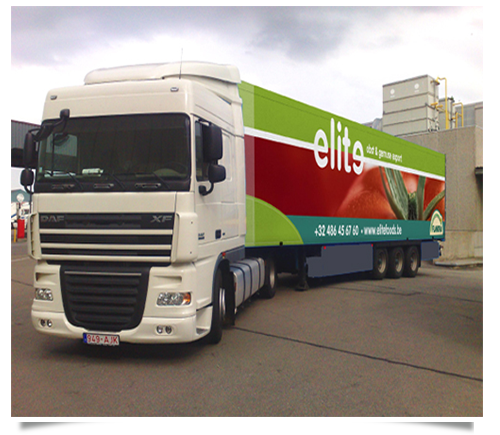 Even when we were in the Netherlands, we delivered to different customers with Belgian tomatoes. Also the price is reasonable and the quality of our products are always above the quality of ‘ordinary’ tomatoes. Besides ‘Elite’ tomatoes, we also supply other vegetables such as lettuce, cucumbers and pepper and in the winter we deliver vegetables like leeks and cabbage.